Like all pets, birds also require nutritious and breed-appropriate nutrition, lots of care, and a good home they can feel safe and comfortable. If dogs have kennels and cats have kitty homes, birds rightfully have birdcages to make them feel right at home. As such, choosing the right cage for these feathery pets is essential to ensuring their optimum wellbeing. We’ve prepared a list of the 10 best bird cages so you can get started right away. The Giantex is a neat-looking and heavy duty parrot cage that comes with a play area on top, perfect for allowing your feathery friend some degree of freedom and time outside the durable and super sturdy bird cage. It has a very spacious compartment complete with a wooden perch that accompanies 3 feeding bowls made of hygienic stainless steel. The top play area also comes with a wooden perch plus a ladder and 2 stainless steel dishes for your pet’s water and seeds. The bottom portion of the Giantex comes with a built-in debris guard, keeping morsels of bird feeds well into the catchment basin just underneath the bottom grille. Accessing your feathery friends should be pretty easy as its main door, secured by a push lock mechanism, is large enough to put your arm through. The feeding bowls can be accessed separately through feeder doors. Since it comes with its own stand complete with caster wheels, there’s no more need for mounting any hook for hanging or the purchase of a separate stand. The Giantex large bird cage is perfect for parrots, cockatoos, macaws, and other medium to large sized avian species. 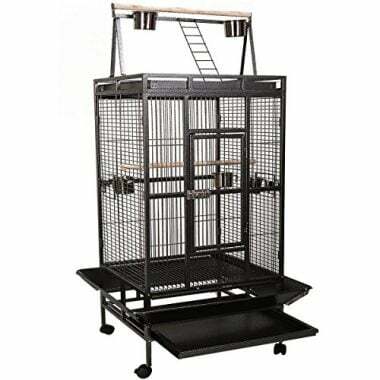 The wrought iron construction of the Prevue Hendryx Flight Cage gives it exceptional durability and stability, making it the best bird cage in this list. 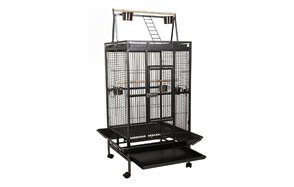 The cage stand comes complete with heavy duty, industrial grade casters for ease of movement. 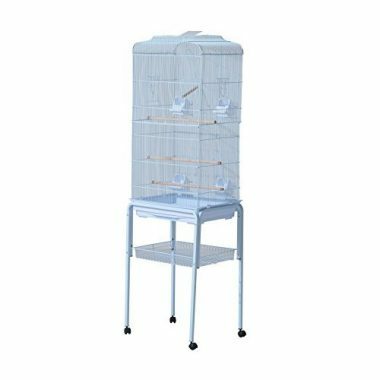 This large bird cage from Prevue Hendryx comes with a removable bottom drawer and grille, making it relatively easy to clean. It doesn’t come with a debris guard, however. While it is designed specifically for larger avian species, its half-inch wire spacing can make it ideal for containing smaller species of pet birds as well. It already comes with double cups and wooden perches so all you need now are the birds to place inside its cavernous compartment. 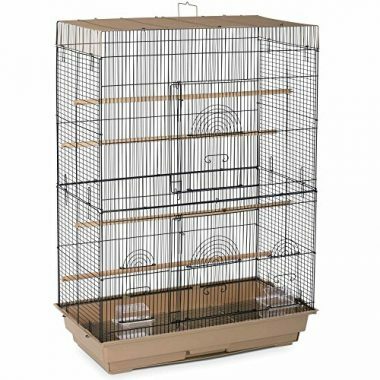 It also has a built-in tray at the bottom of the cage, perfect for storing pet food and supplies. 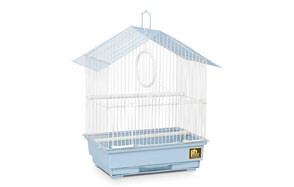 Put some finches, canaries, or even parakeets and they will have no problems flying inside. For those who are just starting with caring for pet birds, it is oftentimes a lot better to start with some pretty basic stuff. The Prevue House Style Economy Bird Cage is one of those small bird cages that are simply perfect for beginners. It comes with a top handle that can be easily hung on a hook or a dedicated tubular steel cage stand if you want to invest in something more elegant and durable. Whatever the case, the House Style should help introduce new pet parents to the rather intricate world of avian ownership. It’s easy to clean and maintain, helping you develop confidence in caring for these types of pets. It makes for a great tool for those who already have a large bird cage. They can use the House Style as a temporary shelter for their feathered friends while their cage is being thoroughly washed and cleaned. The House Style already comes complete with perches and feeding cups, albeit made of plastic. You can always get small branch from a nearby tree and put it inside as a natural perch, however. The Wrought Iron Select Bird Cage in black hammertone finish is technically the same with the Giantex Bird Cage, albeit priced a little bit higher. Plus, the Prevue Hendryx comes in various sizes so you can choose a smaller 57-inch version or its tallest variant at 66 inches. The Select also comes in 8 different colors, although the black hammertone variant looks amazingly elegant, making it perfect as an addition to any home interior. It also comes with the same push button lock mechanism, securing its extra-large main access door. The Select also features a top that doubles as a play area for your feathered friends. There’s also debris guard surrounding the base of the Select, something that is missing from the other wrought iron bird cage of Prevue. The steel bars are adequately spaced at three-quarters of an inch and are finished with a powdered coating that doesn’t contain any toxic chemicals. The durable and sturdy caster wheels also allow for instant mobility while its bottom tray can be easily drawn out for ease of cleaning. 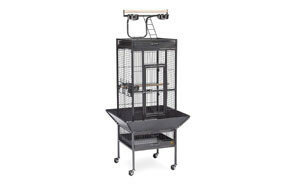 The Prevue Select can be a great parrot cage or any other medium- to large- sized bird. The Model M02 small bird cage from Vision defies any notions that you may have about birdcages. It has a sleeker profile, being slightly thinner in width compared to the rather boxy appearance of other avian enclosures. Another important feature that makes the Vision M02 quite unique is the design of its perches. Styled like the new sprouts of a tree branch, these provide for a more stable platform for your feathered friends to rest on. Of course, if you want a more traditional perch, you can always place one inside its spacious interior and in between the steel rods spaced about half an inch. It also comes with a debris guard that is designed to be different from the one seen in Giantex and Prevue Select, basically to maintain its sleek profile. The cage itself can be easily detached from the plastic base for ease of cleaning. The Model M02 doesn’t have a top handle, however. So, hanging it is definitely out of the question. What you can do, however, is to simply place it on your countertop or even on your window sill. Just make sure there are no cats around though. You can consider the Yaheetech large bird cage as a cheaper version of the Giantex and Prevue Select, providing you with a few tens of dollars in savings. It is also available in 2 colors and sizes, although its large 68-inch variant is only available in black. 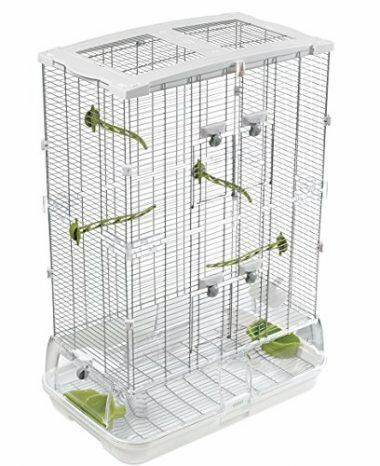 Nevertheless, it comes with the same spacious interior, seed and debris guard, caster wheels, and a play area complete with ladder and perch at the top of the cage. It also features an uncannily similar push button security lock mechanism which Yaheetech says is anti-predator. What makes it quite different, though, is that the wires are spaced a little wider at about seven-tenths of an inch, making it a great parrot cage or perhaps any other large pet bird that you may have in mind. Cleaning is never an issue as the bottom tray can be easily accessed. Technically, if you love the design of the Giantex and Prevue Select but are quite put off by their price tag, then Yaheetech is for you. Imagine the Vision Model M02 with its own cage stand and you’ve got the Pawhut large bird cage. 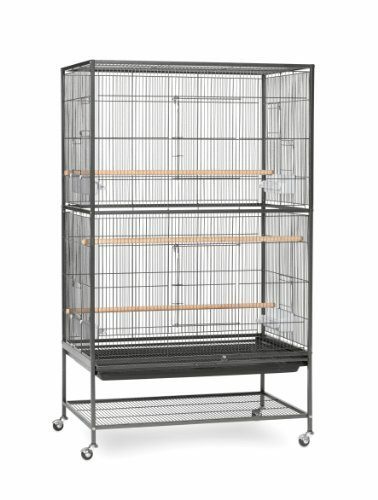 Available in black and white and in 3 different sizes, the largest of which is a 63 inch tower, the Pawhut parrot cage can easily provide shelter for other birds like macaws, canaries, cockatiels, conures, and even finches, among others. It has a removable bottom tray plus a storage tray built into the birdcage stand. The Pawhut also comes with a top handle so you can easily transport the entire contraption or even hang it in another part of your house. It comes with wooden perches and feeding dishes that are, unfortunately, made of plastic. Nevertheless, the wires are made of durable steel and powder coated for a more elegant finish. The Pawhut is priced more reasonably, too, compared to other cages of similar design. Looking for something unique? Well, Prevue Hendryx’s Tripple Roof small bird cages may not really be that unique, but they sure can provide something unusual for your feathered pets. It is pretty much like any other rectangular piece of avian enclosure except that the roof is sectioned into three with the middle section getting an arched treatment while the remaining sections on both left and right are in the more traditional triangular shape. Do take note that it is only the roof that is sectioned into three. The cage itself still maintains a traditionally spacious interior for your feathered friends to hop, perch, and fly in. Because of its triple roof design, it comes with two handles positioned on the triangular side roofs. The Prevue Triple Roof already includes 2 feeding cups and wooden perches so there really is no need to buy separate. The half-inch spacing of its wires means even the smallest pet bird can feel secure inside. 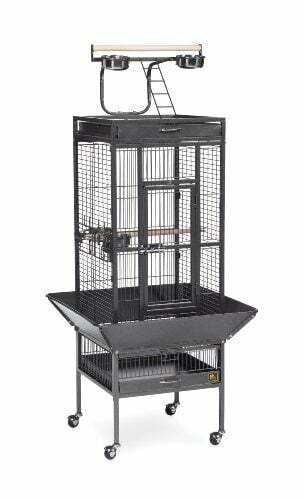 The Prevue Pet Products Flight Cage is strikingly similar to the Prevue Hendryx Wrought Iron. 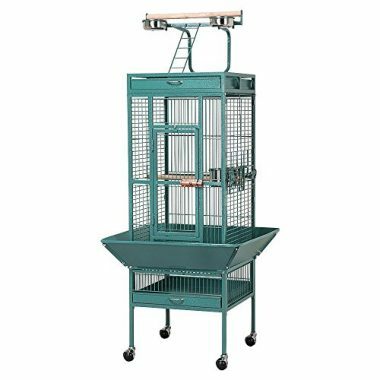 The only difference is that the Flight Cage doesn’t come with a birdcage stand, significantly reducing its price. It also comes in three color variants plus a built-in handle on top for ease of mounting or hanging. The bottom tray is deep enough to catch any seed and debris while the dual front doors allow for easy access to your feathered pals. It makes its way into our list of the best bird cage products primarily for its simplistic design. It may well be perfect for beginners as a small bird cage or even a durable enclosure for those who are in the serious business of caring for avian pets. One of the outstanding characteristics of birdcages of old is that they had very elaborate scrollwork that makes the avian enclosure look more like a fabulous piece of metal art. Prevue Hendryx appreciates this kind of enclosures; that’s why it’s bringing it back in their own take of the Scrollwork. 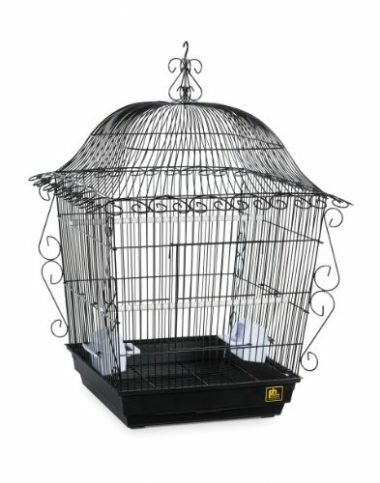 Personally, we believe this to be the best bird cage if you’re looking for something truly elegant, has character, is durable and sturdy, and comes with a very friendly price tag. The sloping domed roof that terminates in fascinating twirls to create a wavelike pattern at the edge is definitely pleasing to the eyes. There is only one problem, though. No matter how elegant and vintage the Scrollwork looks, the addition of plastic perches and cups give it a rather modern, albeit cheap look. These two accessories simply detract from the elegance of the Scrollwork. You can discard these two and replace them with more appropriate stuff to really make this Prevue Hendryx creation a stunning piece. 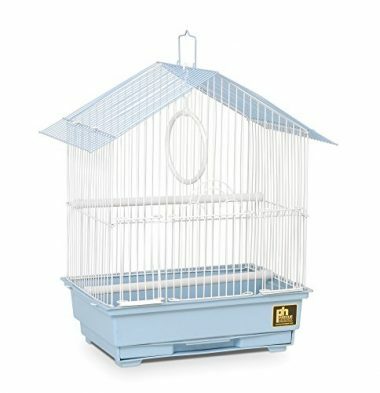 Buying an enclosure for your pet bird is not really that difficult especially if you already have a basic idea of what is at stake. Here we have prepared some of the things that you will have to consider to help you narrow down your choices of the best bird cages. Most of us have this idea that the best shape of a birdcage is a rounded or circular one as the absence of corners allows us to have unrestricted views of our pets. Unfortunately, this line of thinking is outdated. 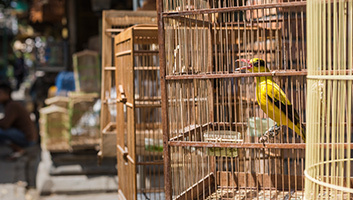 It is believed that certain bird species may actually feel insecure if they are placed in a round cage as they will think that their movements are being restricted. 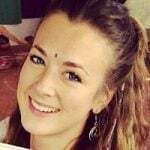 Today, rectangular cages are definitely in. The length of the cage matters a lot more to birds than its height since birds would rather fly forward and back in a horizontal plane rather than up and down in a vertical plane. That being said, you may need a cage that is longer than it is higher, although a combination of the two won’t hurt. The orientation of the bars of the cage also matters. This is often dependent on the species of bird that you have. For example, parrots love to climb up the sides of the cage using their claws and beak. As such, bars that oriented in a horizontal manner will be more ideal for these types of birds as they are given a ladder-like presentation of the bars. For other birds that do not exhibit such behaviors, the orientation of the bar will not really matter. Equally important is the space in between bars. We will have a separate section for this later. Suffice it to say, you don’t want a cage with unusually large bar spacing, otherwise you risk losing your pet altogether. Most cages today are constructed of heavy duty steel materials. However, there are still those that use flimsy wires. It is important to look into the overall construction of these cages and invest only in one that will last several years of use. All pets eliminate, birds included. This means you will also need to clean this on a regular basis. The ease of cleaning and maintaining the integrity of your bird cage is thus, a very important consideration. One of the most important determinants in your choice of the most appropriate enclosure for your avian pet is the size of the cage. In fact, this is one area where many newbie bird owners fail at for the simple fact that they do not understand the implications of an inappropriately sized cage. Birds need to spread their wings and although clipping the wings is a very common practice, being able to stretch these is tantamount to optimum avian health. There are a few things that you simply have to keep in mind whenever you are looking at the most appropriate size for your birdie. The size of your birdie is one of the most basic considerations when it comes to choosing the right cage. Smaller birdies will require smaller cages, although it is not uncommon to get larger enclosures so they have greater freedom inside. Unfortunately, as the size of the birdcage increases, so does the space in between the bars. And if you have a small birdie, it can easily get through this space and escape. 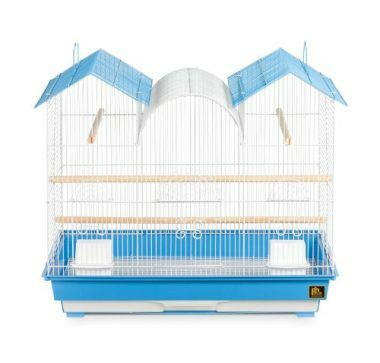 As such, if you really want a more spacious cage for your small feathered pal, then you will need a large cage with smaller bar spacing. We will talk about the bar spacing in the next section. Having one species of bird in your cage is one thing. But if you have mixed species, then the size requirements can be quite complex as you will have to take into consideration the individual behavior of every avian resident in your birdcage. While most pet owners and experts would recommend looking at the size of the largest bird species in your flock, you will still have to consider the other species. Each bird requires a minimum space in which it can fly. For example, a single Parakeet requires about 6,500 cubic inches or about 3.76 cubic feet of space. Compare this with a cage that will house 6 parakeets and you will need about 23,000 cubic inches or roughly about 13.3 cubic feet. If you’re entertaining the idea of having multiple avian pets of various species in one enclosure, an ordinary birdcage is never enough. What you will need is an aviary. Remember that for every bird species you add to your flock, you will also need an additional 4,000 cubic inches or roughly 2.3 cubic feet. To help you get started, here are the following size recommendations for the more popular pet birds. Each of these dimensions is for a single bird only, so you might have to do a little math if you require more than one bird per cage. Just like how the space in between the bars of even the best hamster cage can injure the feet of your pet hamster, inappropriately spaced birdcage bars can also injure your feathered pal. As such, experts recommend adhering to certain recommendations regarding the size of spaces in between the bars or rods of your birdcage. Looking at these spacing recommendations, the sizes are proportional to the size of the head of the bird. Additionally, these size recommendations also take into consideration the possibility of having the wings of birds inserted through the space. These are guidelines, though. As such, you may have to understand the fundamental anatomy of the type of bird that you have for a pet. If you can measure the diameter of its head, then you will need a birdcage that has wire spacing which is not larger than half the diameter of your pet bird’s head. For instance, if you have a pet whose head is about an inch across, then you will need a cage that has bar spacing not more than half an inch. Here’s a list of some very popular bird species and how they are classified according to their size. This should give you an idea as to the most appropriate bar spacing for them. Cages are important to birds as crates are to dogs. These are your feathery friends’ home inside your home. As such it is important to look into the design and construction of the cage including the appropriateness of its size and the spacing between its bars relative to the size of your bird and the number of avian species you intend to place inside. And with these 10 best bird cages, you’re one step closer towards ensuring better and safer existence for your feathered friends.